Sangria... the elixir of summer. When properly prepared, there are few things more refreshing and magical. 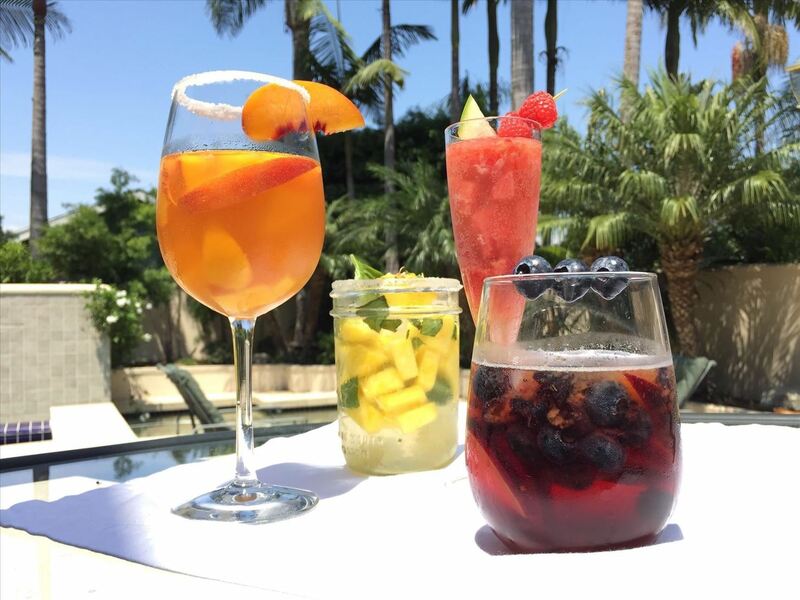 If you're looking for a way to mix things up and "get out of the bottle," try one of these lovely libations before the warm weather ends: peach-mango sangria, pineapple-basil sangria, watermelon-raspberry sangria, or blueberry-plum sangria. 1 cup of fruit-infused liquor (for which you will need 1 cup of fruit and 1 cup of a high-proof liquor—while this sounds like it will make two cups total, the fruit ends up absorbing quite a bit of the liquid). If you plan on making all four sangrias so you can have a "sip and sample" party, you may not want to make all four recipes in full. An easy trick is to buy mini-bottles of wine so that you can easily halve or quarter the recipe. If you really want to make all four recipes at their full proportions, just be sure that all your guests have a safe ride home. These beverages go down like a dream but sting like a bee! 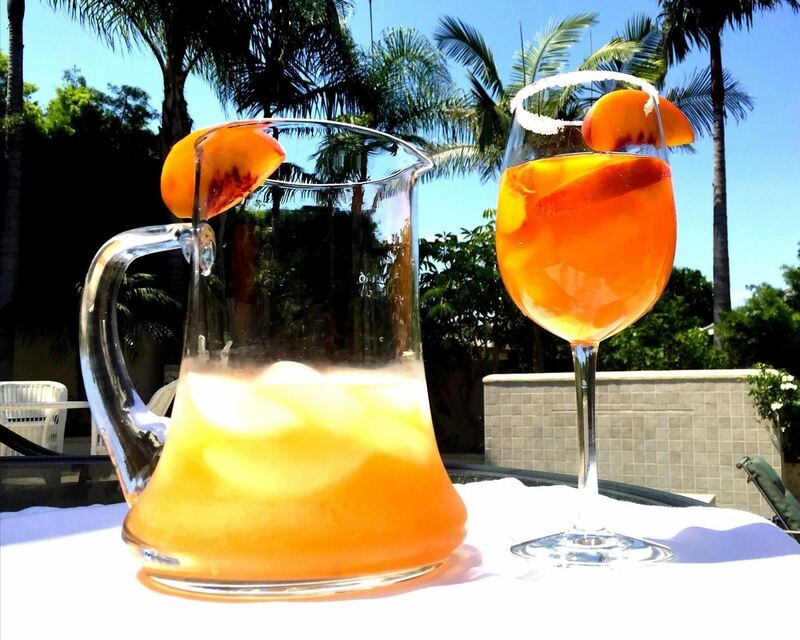 This sangria is fruity and tropical, thanks to the combination of peach and mango. 1 bottle of wine. I recommend using a creamy Chardonnay or Viognier. These two wines have a very full body and slightly sweet flavor that lend themselves well to the flavor combination of peach and mango. 2 cans of a carbonated beverage. Sprite or tonic water work well. 1 cup fruit juice. I suggest peach nectar or mango juice if you can find it. A tropical fruit blend also works well (V8 has some good products). Just try to make sure that it's peach colored to keep with the theme. 1 cup of fruit-infused liquor. To pull this off, let 1 cup of chopped peach and mango sit in 1 cup of brandy overnight. As a last-minute alternative, you can also resort to peach schnapps. But it won't be the same... you have been warned. After the brandy has been infused with the peach and mango, mix all ingredients together. Refrigerate one or two hours to allow flavors to blend. Add sugar to taste. This is my personal favorite of the sangrias. It tastes like sangria made love to a mojito and then gave birth to a lovechild christened with magic and unicorns. 1 bottle of wine. A dry white, like Sauvignon Blanc, is best so that the subtle flavors of the basil and pineapple can come through. 2 cans of a carbonated beverage. I recommend sprite or tonic water. 1 cup pineapple juice (lemonade is an alternative). 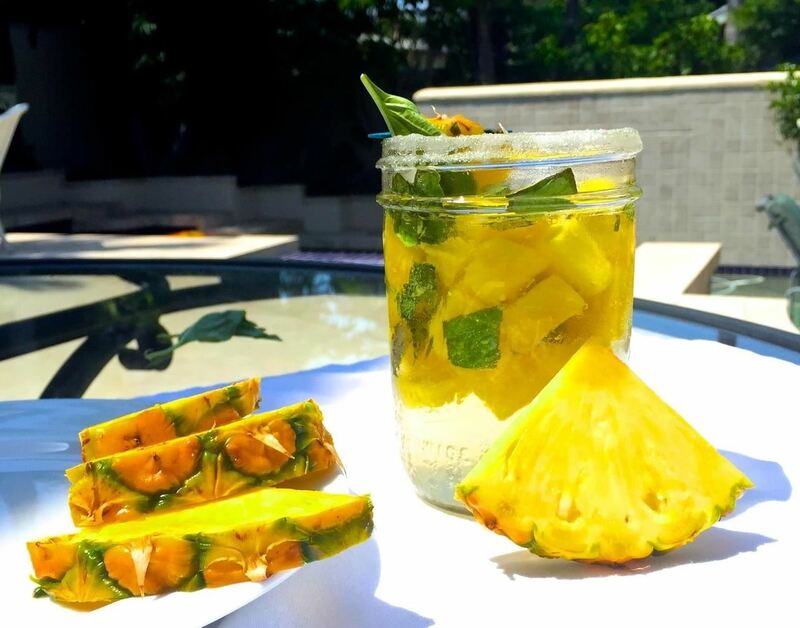 1 cup pineapple-basil infused liquor. To accomplish this, let 1 cup of basil and 2 tablespoons of chopped basil to sit in vodka or white rum overnight. After the liquor has been infused with the liquor, mix all ingredients together. Refrigerate 1–2 hours to allow flavors to blend. Add sugar to taste. The tartness of the raspberry is a nice counter to the cooling sweetness of the watermelon. And serving it in a champagne flute adds a touch of elegance that just makes you want to invite it out for a nice Sunday brunch. 1 bottle of wine. Use a slightly dry rose. Roses tend to have a bit more fruit flavor than white wine, which will work well with the raspberry and watermelon. 2 cans of Sprite or tonic water. 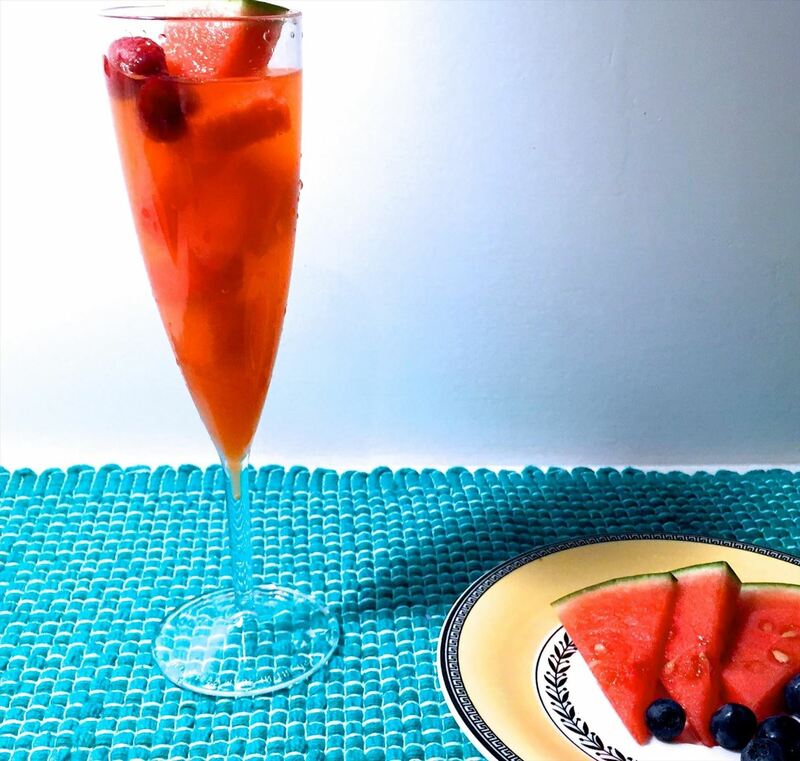 1 cup watermelon-raspberry infused liquor. To accomplish this, muddle ¼ cup of raspberries in a bowl. Add ½ cup of chopped watermelon. Add 1 cup of vodka and refrigerate overnight. After the vodka has been infused with the watermelon-raspberry combination, mix all ingredients together. Refrigerate 1–2 hours to allow flavors to blend. Add sugar to taste. Having tasted the success marriage of blueberries and sangria, I am shocked that this fruit doesn't get more playtime. Blueberries are basically the equivalent of LeBron: total all-stars. And to think that bartenders have been benching them all this time. 1 bottle of wine. A light red is ideal, such as a Pinot Noir or Chianti. 2 cans of ginger ale or sparkling apple juice. 1 cup blueberry-plum infused liquor. To accomplish this, muddle ¼ cup of blueberries in a bowl. Add 2 sliced plums. Add 1 cup of brandy and refrigerate overnight. 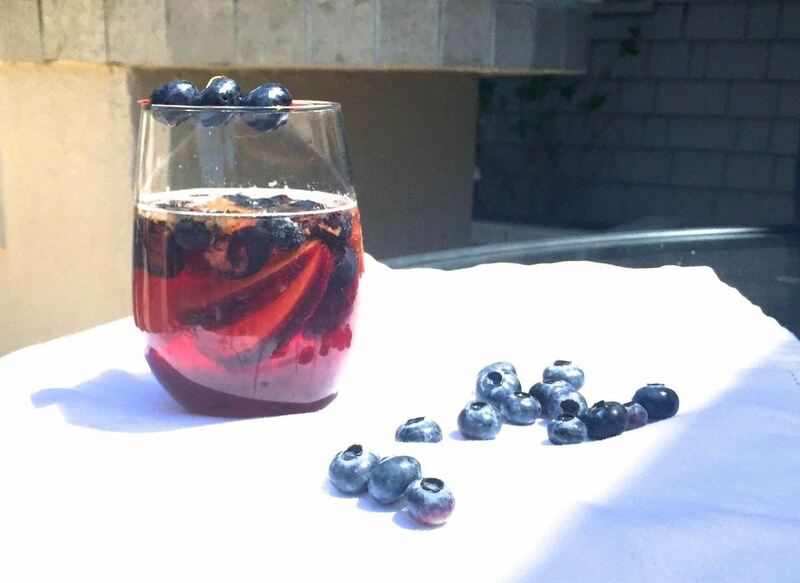 After the vodka has been infused with the blueberry-plum combination, mix all ingredients together. Refrigerate 1–2 hours to allow flavors to blend. Add sugar to taste.